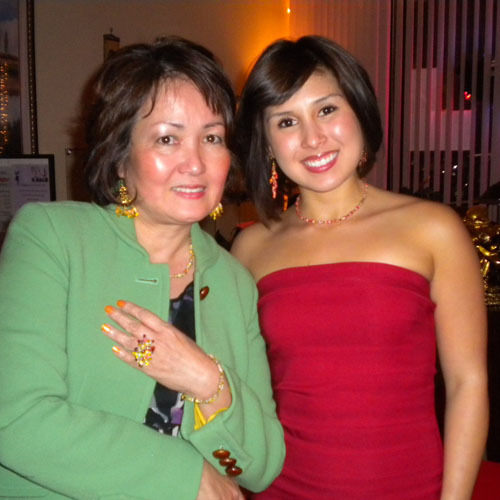 I was invited to a friend’s birthday and we had so much fun making the paper bead jewelry to match our outfit. 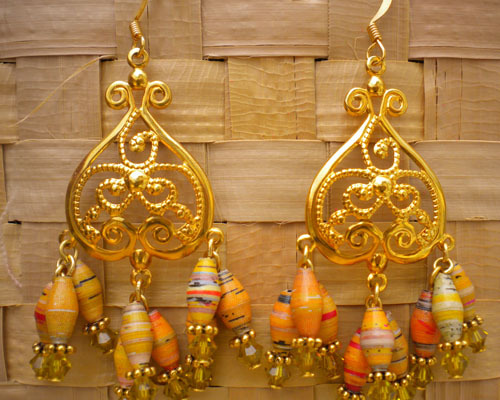 Using paper beads in jewelry makes the finished piece more interesting, unique and different. I’m on sort of a mission to prove a point-paper beads jewelry can be elegant and fashionable. 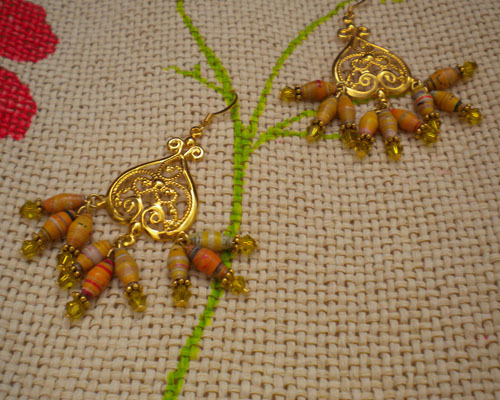 I made chandelier earrings out of olive shaped paper beads. The materials for this project are: 1 1/2 inch 22 gauge head pins, 4mm bicone crystals, 5mm spacers and olive shaped paper beads. Kayla made her earrings out of red olive shaped paper beads to match her dress and the necklace was just strung on elastic, easy breezy. Thanks for the tutorial and you both look cute!